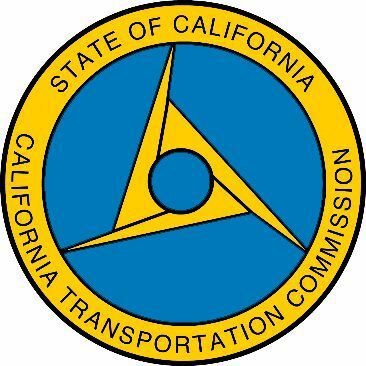 Caltrans announced last week the California Transportation Commission allocated $758.1 million for 91 State Highway Operation and Protection Program projects throughout California, including $90.4 million for 26 fix-it-first projects funded by Senate Bill 1, the Road Repair and Accountability Act of 2017. This funding allows crews to improve 21 bridges and more than 189 lane miles of pavement, upgrade 292 congestion reducing devices, and repair or replace 81 culverts to prevent flooding on highways. Area state highway projects allocated SB 1 funds include Transportation Management Systems Project in Merced, San Joaquin and Stanislaus Counties: This estimated $11.6 million project will upgrade and replace traffic monitoring station elements in three counties: Interstate 5, State Route 59, SR-99 and SR-152 in Merced County, and I-5 and SR-99 in San Joaquin and Stanislaus counties. These traffic monitoring elements can include traffic signals, ramp meters, changeable message signs, roadway weather information and vehicle detection that improve the safety and efficiency of the roadway for motorists. The project was allocated approximately $2.2 million. Bridge Replacement and Upgrade Project in Alpine County: This estimated $9.3 million project will replace and upgrade bridge rails at the Silver Creek Bridge on SR-4, the West Fork Carson River Bridge on SR-88 and the Markleeville Creek Bridge on SR-89. The project was allocated approximately $1.9 million. Bridge Rehabilitation Project on State Route 99 in Stockton: This estimated $2.7 million project will rehabilitate and improve the structure and increase the vertical clearance of the bridge on the SR-99 overcrossing at Wilson Way in the City of Stockton in San Joaquin County. The project was allocated approximately $2.2 million. Drainage Project Along State Route 41 in Mariposa County: This estimated $4.3 million project will repair or replace culverts (underground drainage systems) in 19 locations on SR-41 from the town of Fish Camp to south of the Yosemite National Park boundary. The project was allocated approximately $3 million. Since SB 1 was signed into law in April 2017, Caltrans has repaired or replaced 89 bridges and paved more than 1,300 lane miles of the state highway system.